A senior Labour councillor has accused his party of costing itself votes in Peterborough through all-women shortlists. 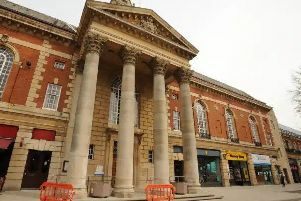 Cllr Mohammed Jamil, the former head of the Labour group on Peterborough City Council, said “decent men” have been unable to stand for the party as a woman had to be selected in certain wards under a directive from Labour’s national and regional branches. Cllr Jamil said: “Some seats are all-women seats so decent men in the ward can’t stand. Sometimes that counts against the Labour Party. Sometimes that stops other people from joining in. Labour’s Peterborough MP Fiona Onasanya was asked on three occasions if she would like to comment but referred the Peterborough Telegraph to a spokesperson from the East of England Labour Party. He replied: “The Labour Party have a strong and proud record of increasing participation of women in politics, from a grassroots level all the way to the Houses of Parliament. Labour currently holds 16 council seats, two of which are filled by women, ahead of May’s local elections. Labour’s current council group leader Cllr Ed Murphy said: “I am pleased to see that an increasing number of female candidates will be standing for election on May 3 and I would like to see sooner rather than later at least one female Labour councillor in all the three-member wards in Peterborough.